JUANA MANSO AND E. ESCURRA (BRISAS BUILDING) . JUANA MANSO AND E. ESCURRA (MADERO PLAZA BUILDING) . JUANA MANSO AND LYNCH . 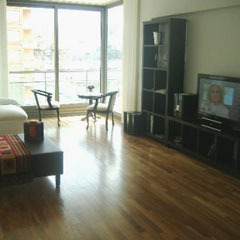 Comfortable, modern and bright new apartment in an excellent location. 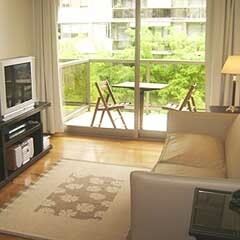 It has a balcony with view to the river. 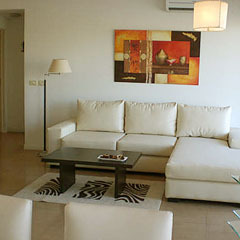 - Living room with splendid extra large sofa and LCD TV. 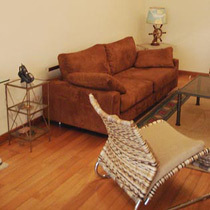 - Modern dining room with table and chairs for four people. 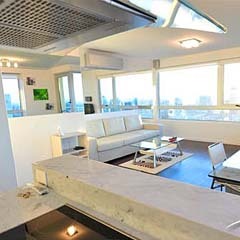 - Bright and wide living-room integrated to the kitchen, with access to the balcony.